The nearly full moon rises over the silhouette of the steep, low ridge to the east of Wafer Station, and the brighter stars shine feebly through the moonlight where today’s cloud ceiling has disintegrated. Crickets chirp incessantly in the warm evening air, and white moonlight glints off the ridges of the waxy leaf-blades of the coconuts palms that line the stone path up to the Big House. A low cloud scuds hurriedly across the sky, momentarily passing in front of the moon, but the cloud is too thin to obscure la luna, which shines through the core of condensed moisture with only a slightly diminished brilliance. I stand for several long moments outside of the Casa, simply soaking up the night, before turning and climbing the stairs to my quarters. As beautiful as tonight is, nights like this weren’t on the minds of UNESCO’s World Heritage Committee when they selected Cocos Island to be a World Heritage site in 1997. 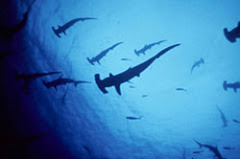 No, this place wasn’t selected for it’s moonrises, but rather “the Committee inscribed Cocos Island National Park under natural criteria (ix) and (x) because of the critical habitats the site provides for marine wildlife including large pelagic species, especially sharks,” (whc.unesco.org). Criteria IX: “to be outstanding examples representing significant on-going ecological and biological processes in the evolution and development of terrestrial, fresh water, coastal and marine ecosystems and communities of plants and animals. Criteria X: to contain the most important and significant natural habitats for in-situ conservation of biological diversity, including those containing threatened species of outstanding universal value from the point of view of science or conservation,” (whc.unesco.org). 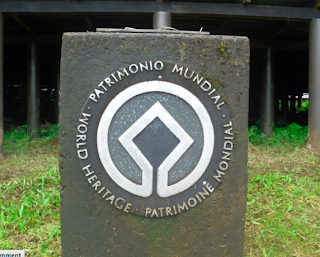 UNESCO does have a fund, the World Heritage Fund, which “provides about US$4 million annually to support activities requested by States Parties in need of international assistance.” It’s not that Cocos Island isn’t eligible for these funds, its just that in 2011, there are 35 World Heritage sites that are listed as “In Danger” of being destroyed or harmed, and “the World Heritage Committee allocates funds according to the urgency of requests, priority being given to the most threatened sites,” (whc.unesco.org). Fortunately, Cocos Island isn’t on the “In Danger” list. Unfortunately, this means that the island’s designation as a World Heritage Site doesn’t do much for it in the way of obtaining funds and equipment. Despite the lack of funding and resources that plagues the park, the funcionarios are working there hardest to protect and preserve this place. In fact, three park guards are currently attending a five day course on the implementation and monitoring of Protected Marine Areas Operations. 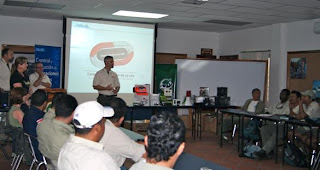 The workshop was put together by Galapagos National Park, and is being sponsored by WildAid and the World Wildlife foundation, and is being taught by three former United States Coast Guard members. What’s particularly remarkable about this is that these three Cocos Island funcionarios are attending the workshop in their precious time off of the island. I applaud their dedication. 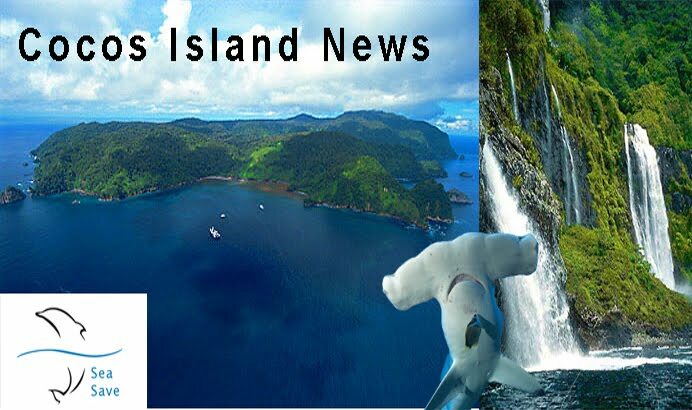 Also in the Cocos Island News today: this morning, a patrol left Wafer Bay at 3:00 am (Of which I was not a part). Not two miles off shore, within sight of the Wafer Bay Station, they encountered a fishing boat out of Puntarenas. The boat was expelled from the park’s waters. The Guardacosta stationed on the island described it as a "blatant invasion, a gross violation of the law."